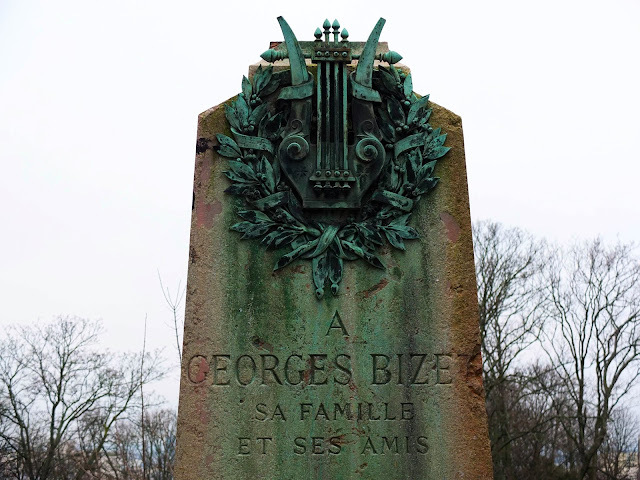 My reason for visiting the Père-Lachaise Cemetery was to visit the "grandfathers of flute playing" from the Conservatoire de Paris. 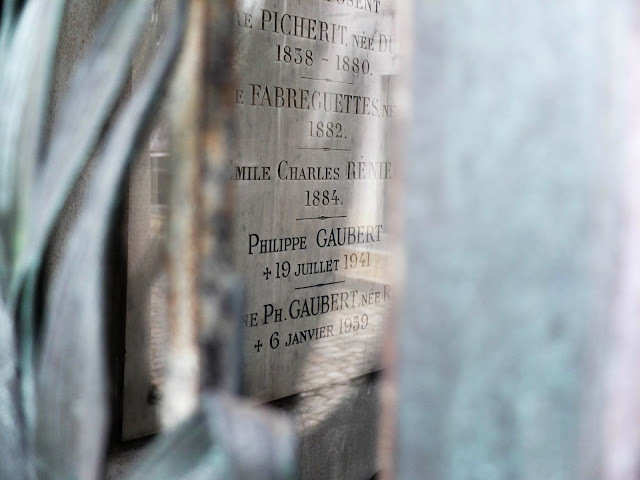 Since they are mostly only famous in the flute world, and I didn't bother to look their gravesites up ahead of time, I only found one: Philippe Gaubert. He is in a family tomb in the Père-Lachaise. 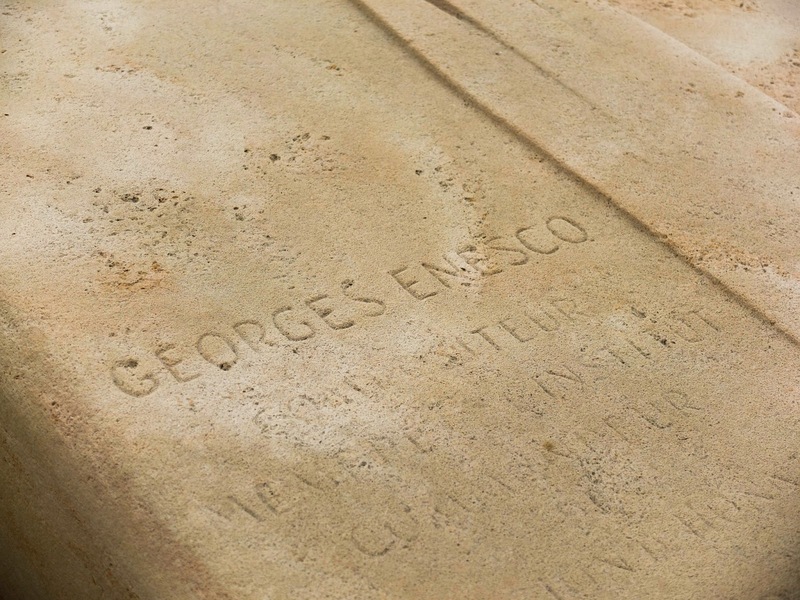 Georges Enesco, though a violinist, wrote many French Conservatory flute pieces and I stumbled upon his grave on the way to finding Bizet. I was so excited with this surprise that I jumped up and down and several Parisians came by to see who I had found and looked very puzzled when they had no idea who this man was. 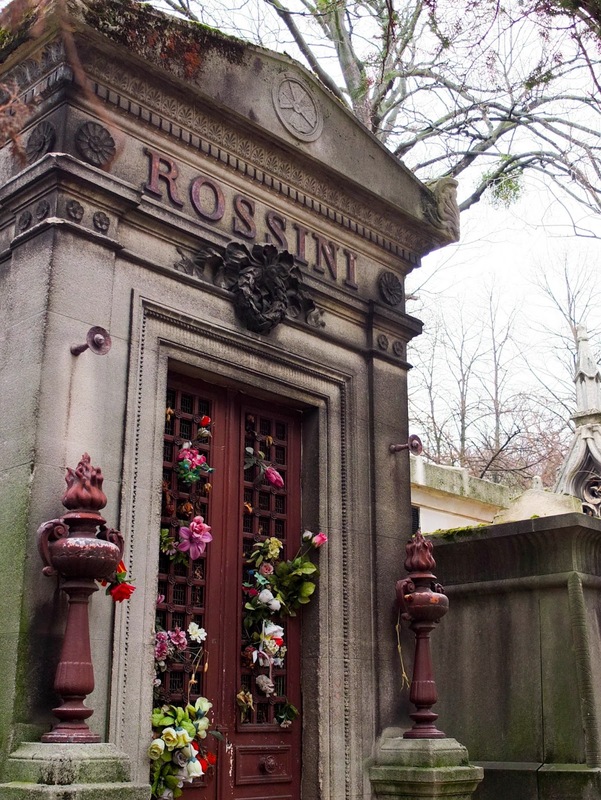 & my piccolo even got to rest with Rossini for a moment. 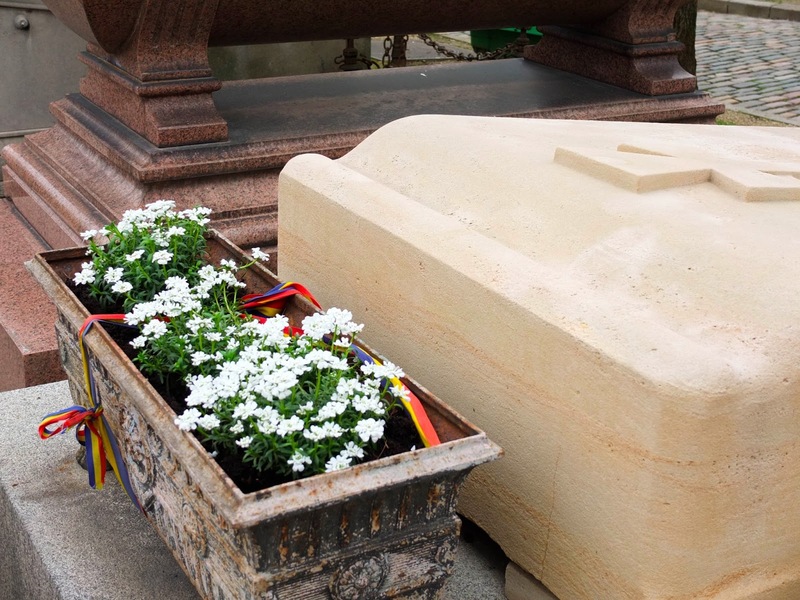 I visited Stravinsky's grave in the summer of 2012 when I was staying in Austria. Venice was a short weekend trip, and I am dying to go back. 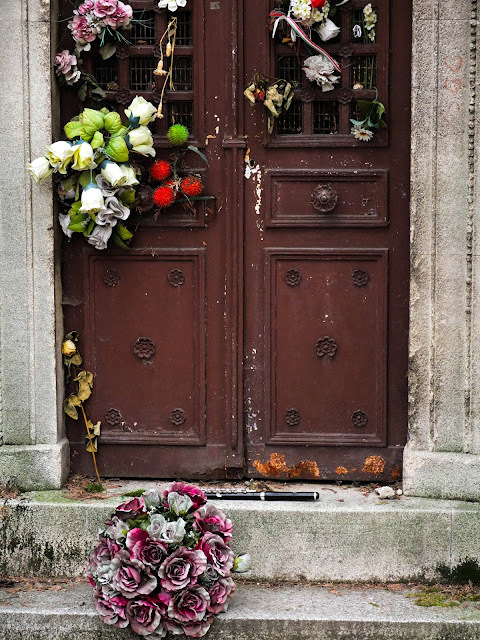 The Isola di San Michele is the most beautiful cemetery I have ever been to. There is something truly magical about it. I could have spent all day there. 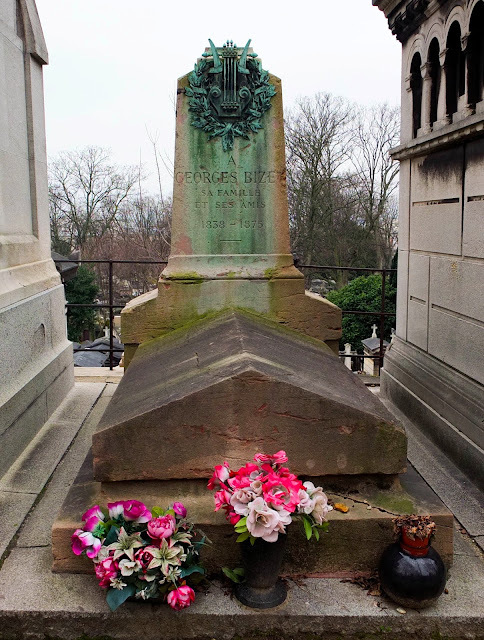 Stravinsky is buried between his wife, Vera, and his collaborator, Sergei Diaghilev. There were many flowers, pointe shoes and notes to the composer and to the founder of Ballets Russes. I visited the Zentralfriedhof in Vienna in the summer 2012 when I was staying nearby in Graz. Brahms, Beethoven and Schubert are all buried in the same circle with a monument to Mozart in the middle (since he was buried in an unmarked grave).